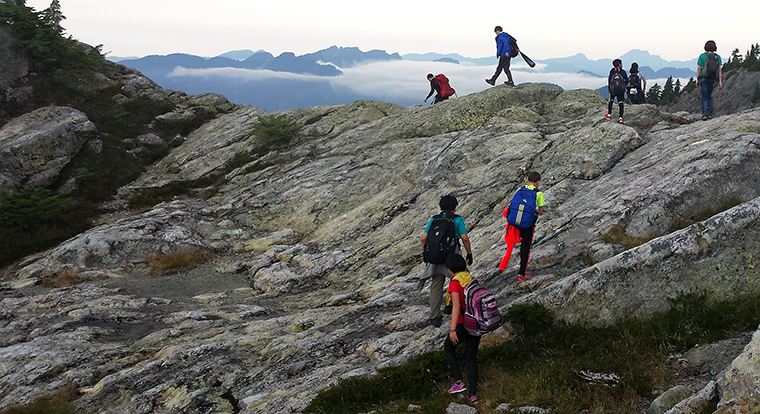 Now in its 6th year, Mt Seymour’s Youth Adventure Skills Program is a boots-on, hands-on, outdoor awareness and skills development camp experience for 12-15 year olds, where they'll discover wilderness survival techniques, backcountry camping skills, leadership abilities and the essentials of our Coastal Mountain ecology. This program is fun and experiential, connecting youth to the mountain environment through informed outdoor recreation. The program teaches valuable lessons useful in preparing your teenager for their next steps. These skills will be put into action the last night of the program, with an overnight camping experience on Mt Seymour! Our Instructors are highly experienced guides, focused on safety and dedicated to your teenager getting the most possible out of this wilderness experience.